I'm so pleased to welcome back good friend of the blog, Q, as he continues his extensive tour of the overseas Disney Parks! 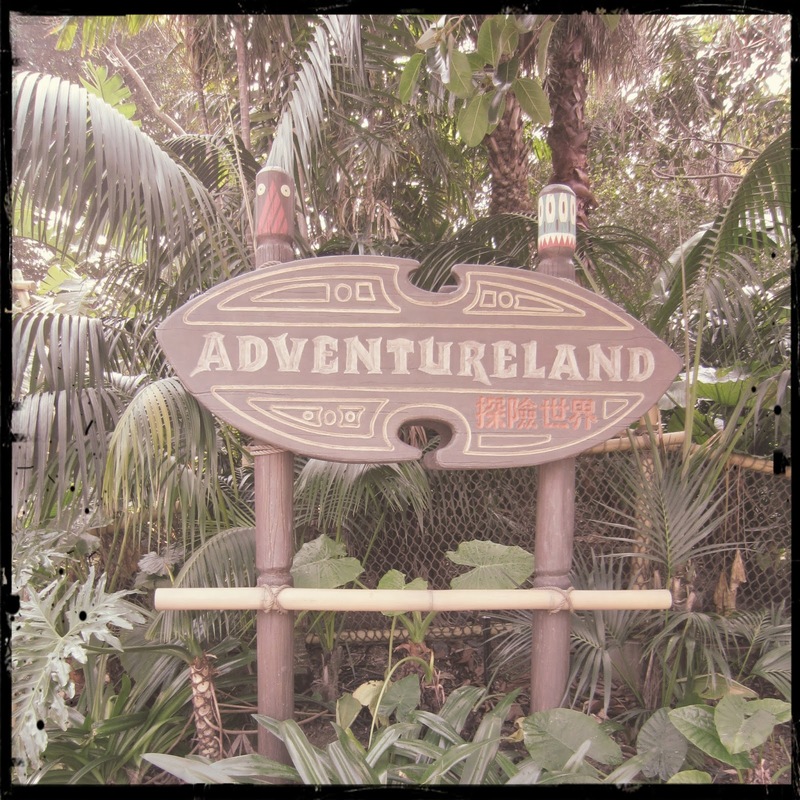 Today he's looking at a great detail from Hong Kong's Adventureland...take it away Q! 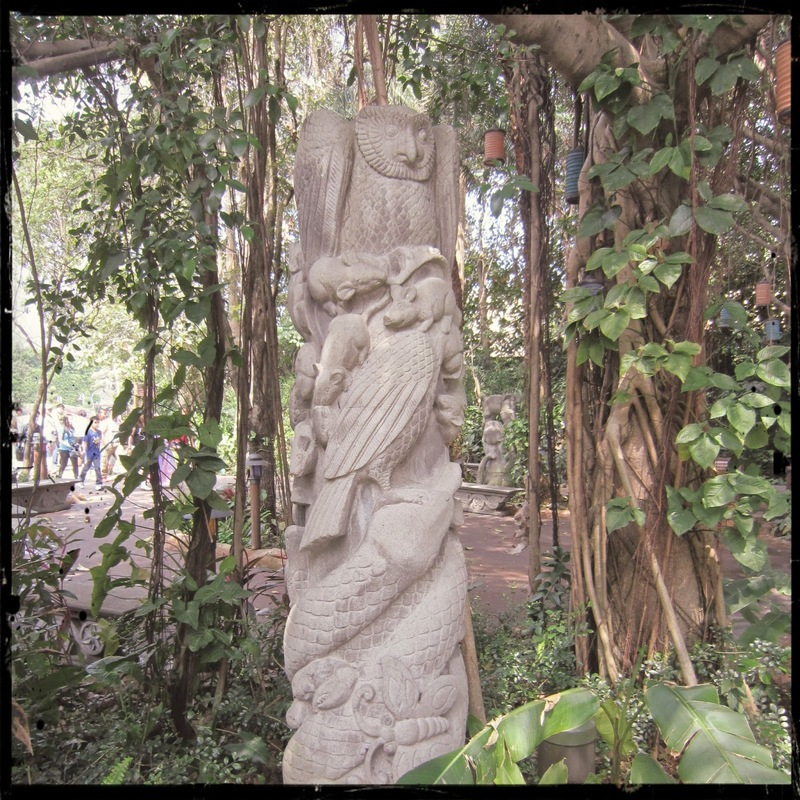 The meandering pathways through the true tropics of Hong Kong Disneyland’s Adventureland is not only full of stunning jungle overgrowth, the sounds of drums, gorgeous tikis, and some gorgeous relics from Adventures long ago, but hidden in plain sight are some quite amazing pieces of rock art. 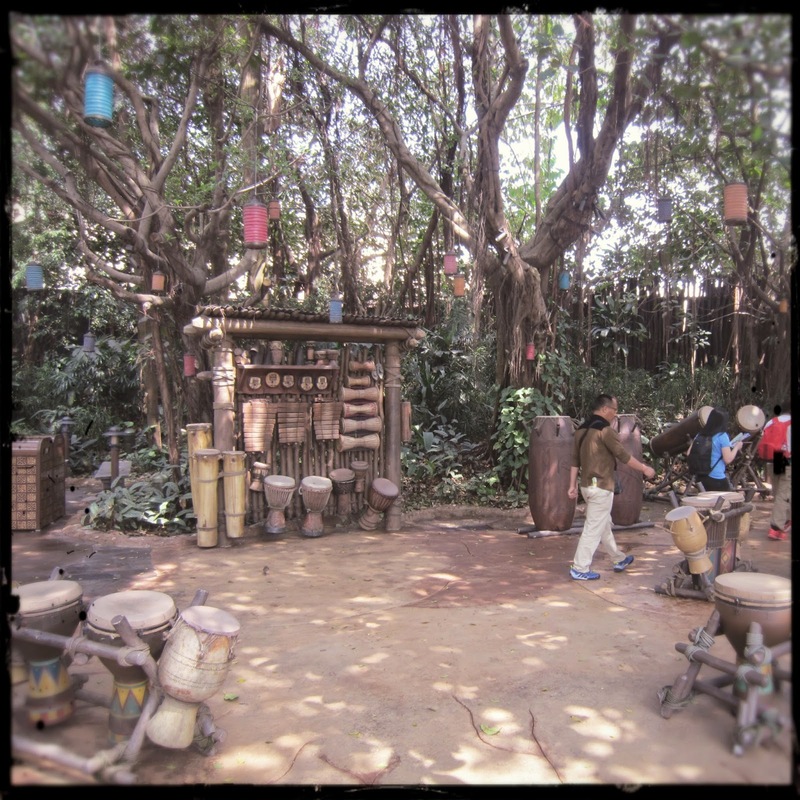 Located in a small area of Adventureland around a play space of traditional music instruments and drums for small (and big!) kids to play on, these statues are reminiscent of Animal Kingdom rock art. 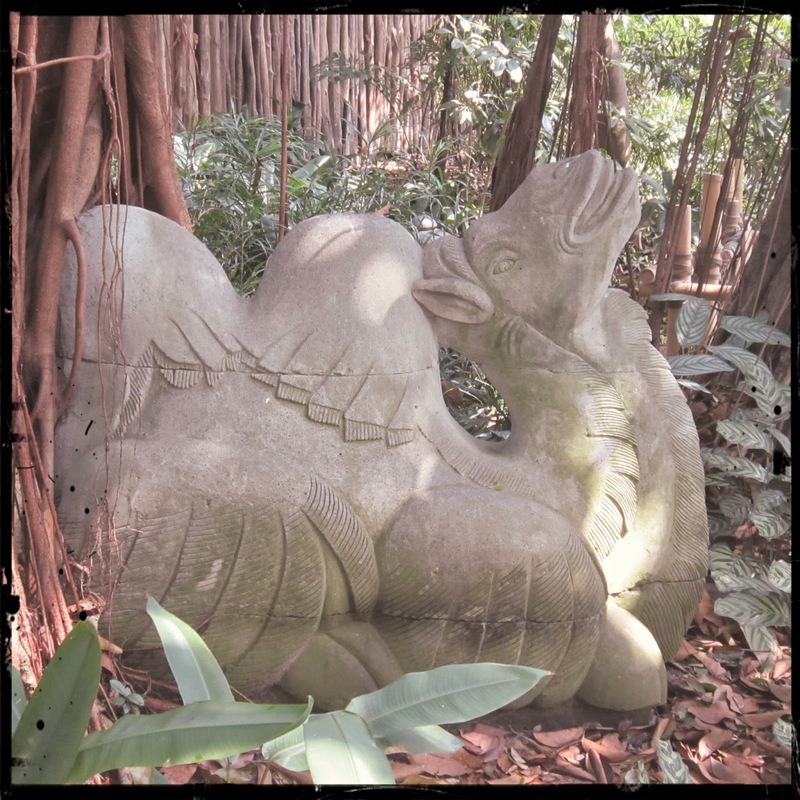 I had probably walked past these a number of times before I realized that these weren’t just rocks, but rock carvings and statues of animals! (I do have that common affliction known as "Boys Eyes" though, where we often can’t see things right in front of our faces). I just love the stacked Rhinoceros pack! 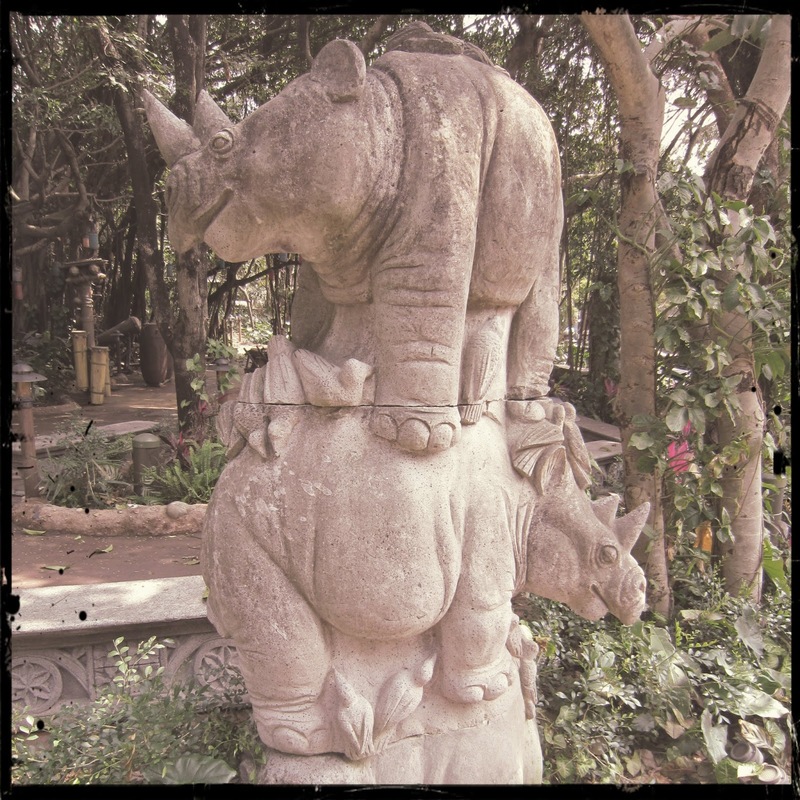 Beautiful details like these made Adventureland my favourite land overall in Hong Kong Disneyland. Do you have a favourite statue in your Magic Kingdom?